While BMW is out producing more Sports Activity Coupés like the X4 (reviewed here), Porsche is making station wagons with nearly 700 horsepower. 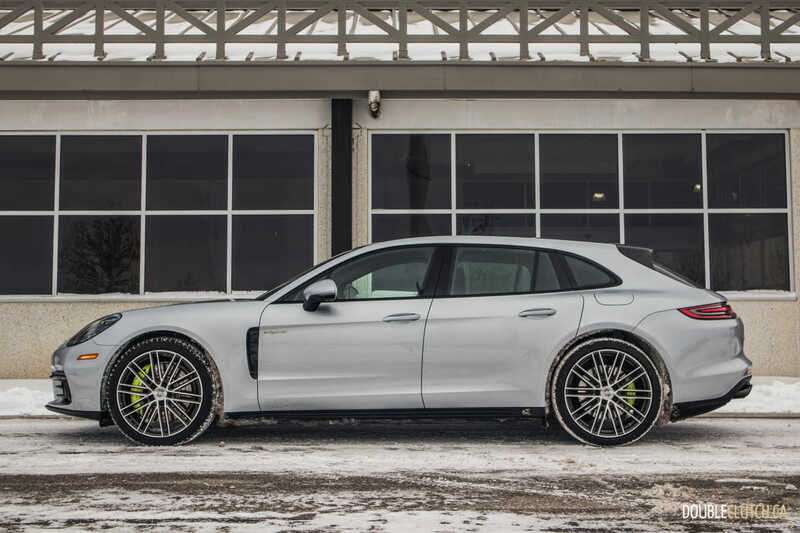 This is the Panamera Sport Turismo, and it’s a unicorn in the most absolute of terms. The model road tested here is the E-Hybrid, which is not only beautiful, but functional as a year-round commuter for those that can palate the cost of entry. 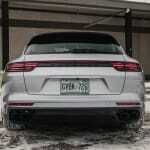 While every other automaker is introducing new crossovers to the market year after year, Porsche’s strategy towards the Sport Turismo is a brilliant one. This won’t be a high volume vehicle, but it’s generating enough buzz in all four corners of the Internet to bring more and more new customers into dealerships. 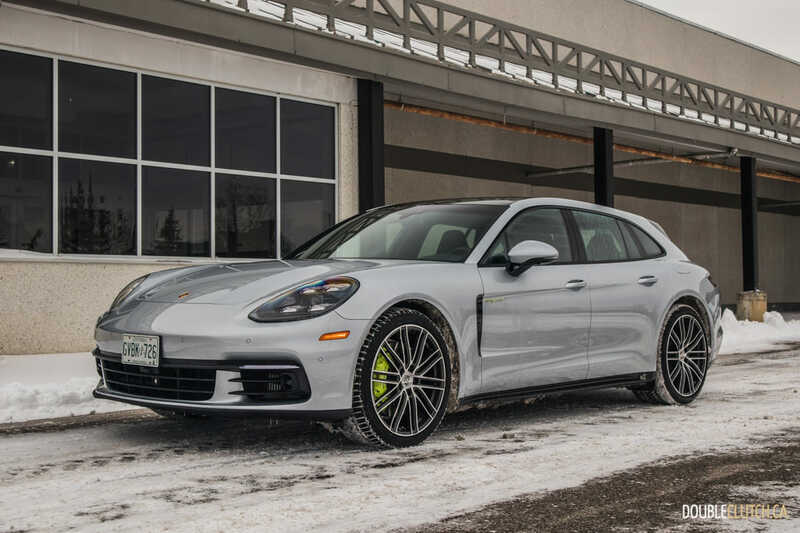 They may end up buying a Macan or Cayenne, but the Panamera Sport Turismo is in fact selling fairly well; we came across a handful on the streets of Toronto during our road test. 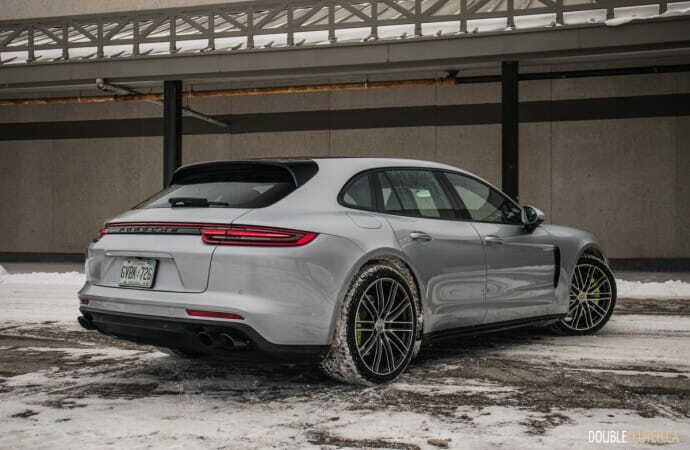 The legendary shooting brake design works exceptionally well on the second-generation Panamera, a car which itself looks spectacular. 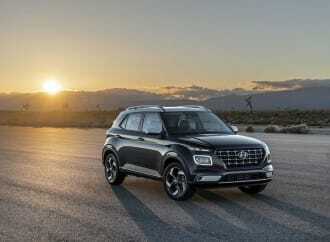 The taillight bar that sprawls across the entirety of the liftgate looks sensational at night, and the LED headlights look good and deliver excellent visibility. The fluorescent green calipers are the first giveaway that this is the E-Hybrid, and the Turbo S style 21” wheels (on the wild 315/30/R21 tire size!) give it the perfect stance. 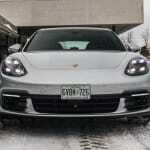 The air suspension is adjustable and can alter the height of the Panamera depending on the selected drive mode. 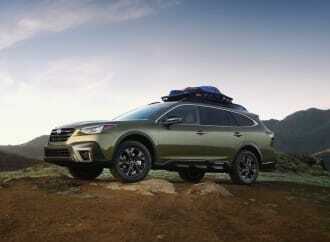 Powering this magical wagon is a 2.9L twin-turbocharged V6 that makes 330 horsepower and 331 lb-ft. of torque. 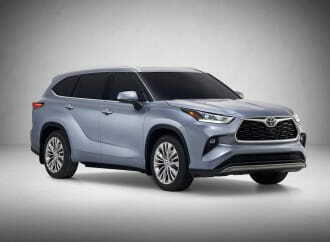 Given that this is a hybrid, there is an electric motor located between the gasoline engine and the transmission, good for 136 horsepower and 295 lb-ft. A 14-kWh lithium-ion battery provides an all-electric driving range of up to 50km. Combined power is 462 horsepower and 516 lb-ft. of torque, which is plenty for the segment. 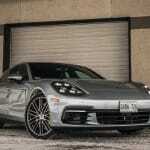 Porsche Canada claims a 0-100km/h run in 4.6 seconds, very respectable for a car weighing in at just over 5,000 pounds. The Porsche Doppelkupplung (PDK) dual-clutch gearbox is the benchmark for automatic transmissions, and it’s a great application for the Panamera that suits its personality. 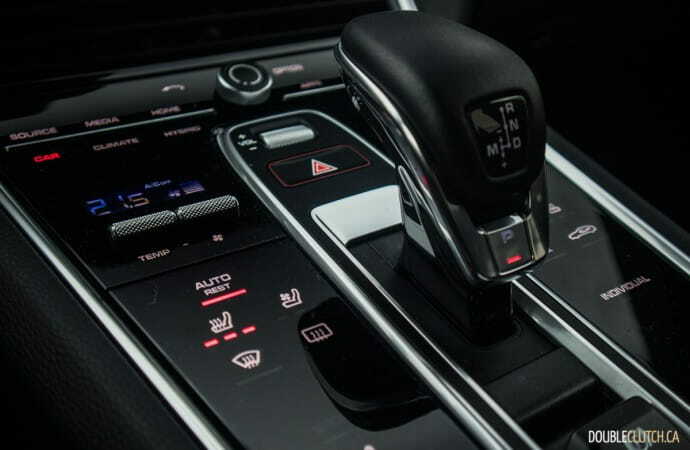 This is an eight-speed unit, and can pull off immediate shifts effortlessly, whether left on its own or shifting manually. 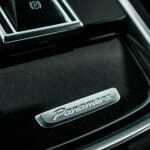 When in Sport or Sport Plus modes, shifts are also met with a bark from the sport exhaust system. 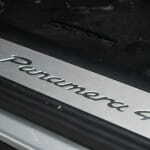 The Panamera 4 also comes with PTM (Porsche Traction Management), an adaptive all-wheel-drive system. 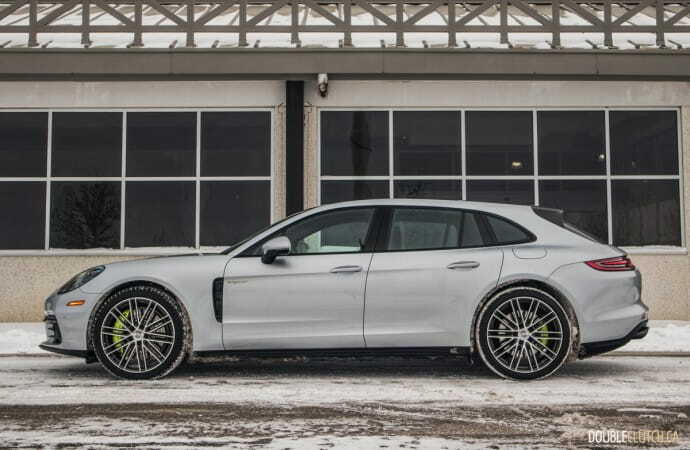 Out on the road, the Panamera Sport Turismo is a dream to drive, whether just commuting to the office in poor weather or out on your favourite backroad on a lazy Sunday afternoon. 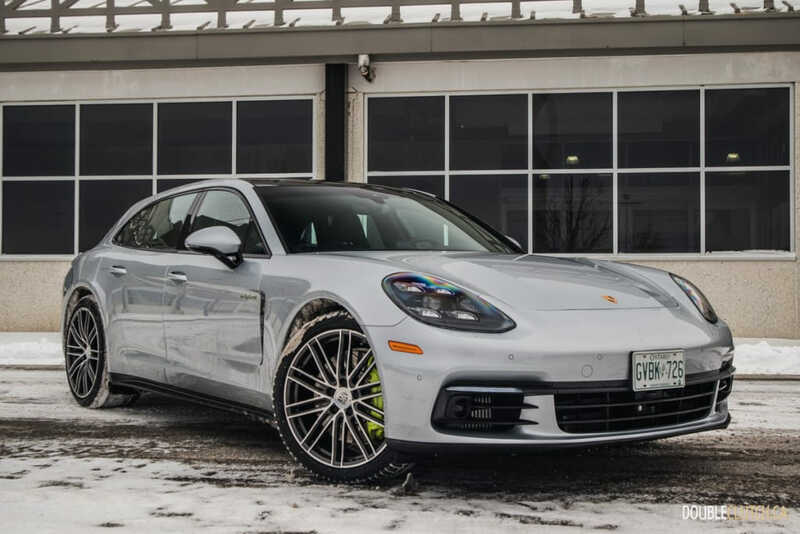 The rotary wheel on the steering wheel alters the car’s personality between a series of drive modes, and we found “Sport” to be the sweet spot to bring out the Panamera’s renowned Porsche DNA. The exhaust system pushes a euphoric symphony out the rear, all while providing the driver with an exceptionally balanced driving experience. 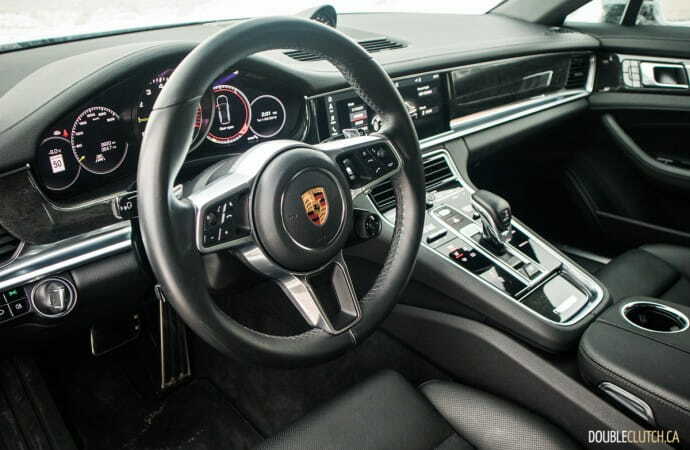 As with any Porsche, the steering really is the highlight of the driving experience. Despite being electrically assisted, there is a good amount of feedback on turn-in. 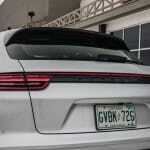 On-center feel is also very good, and the Panamera requires zero overcorrection at highway speeds. When pushing it around corners and over road imperfections, the chassis tuning really comes to life and rigidity becomes obvious. This car feels like it’s carved out of one solid block of metal. 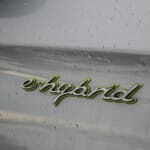 With regards to fuel economy, the E-Hybrid’s versatility will work for a variety of situations. Those able to charge the vehicle at home can take advantage of the 50km electric range, and those who can’t, will appreciate its use as a traditional hybrid. Over approximately 400km, we observed 11.6L/100km on 93-octane premium fuel. Factoring in extremely cold weather and a snow storm, we were unable to plug the vehicle in more than once, and saw as little as 9.8L/100km on a longer highway run across the city. 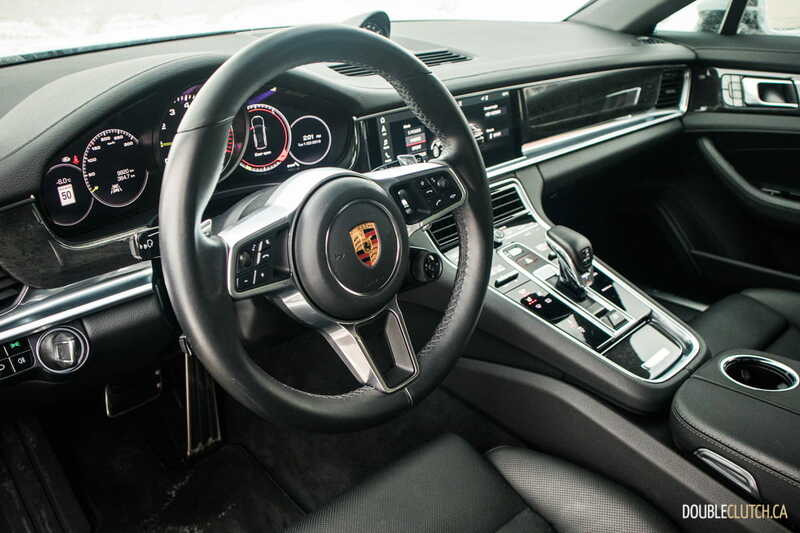 Inside, the Panamera’s interior is very German and meticulously designed. 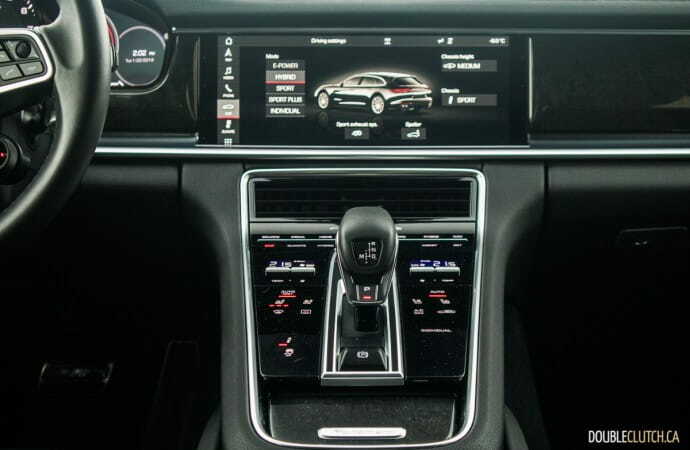 There is a plethora of buttons and knobs, and a huge 12.3” touchscreen manages infotainment. The powered front seats are comfortable and supportive, and provide enough adjustability to find the perfect driving position with ease. 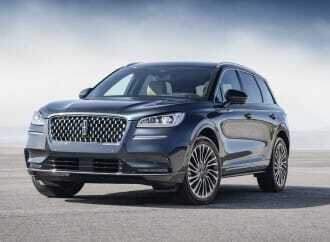 Rear accommodations are decent, though headroom is a challenge for taller passengers thanks to the design. 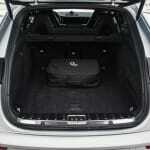 The E-Hybrid’s cargo area will hold 1,295L, as opposed to 1,390L in non-hybrid models. Connectivity is quite good, with seamless Apple CarPlay capability and a series of built-in apps. 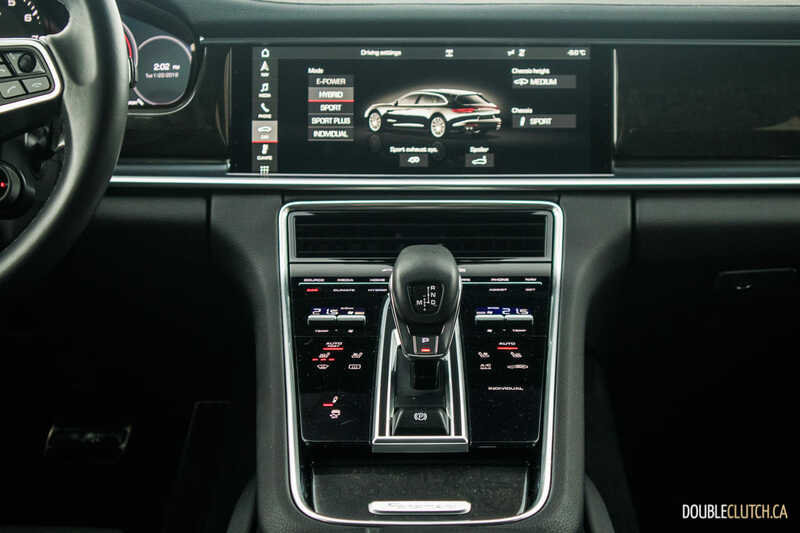 The new native PCM infotainment offers brilliant graphics and a matte finish to minimize fingerprints, something more automakers should follow. However, there are a few too many menus to browse through for certain features, and simple tasks such as skipping tracks are made difficult. 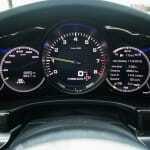 Should you decide to not use the touchscreen, there is a small rotary knob on the console. 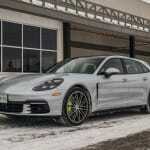 Porsche has priced the Panamera 4 E-Hybrid Sport Turismo from $121,800 to start. 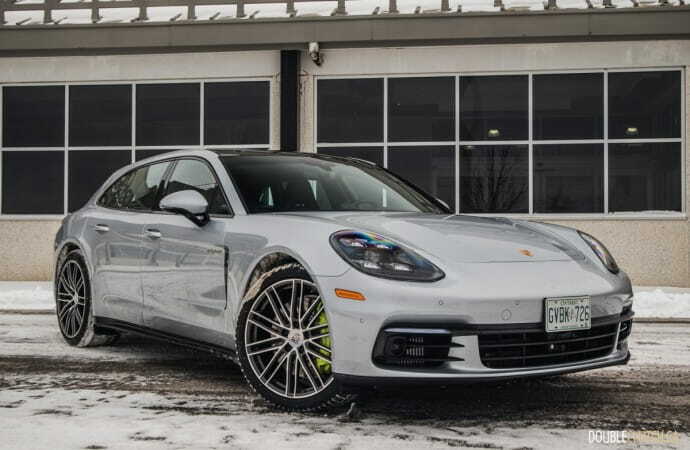 Our tester was equipped with the optional rear axle steering ($1,840), Sport Exhaust ($4,400), 21” 911 Turbo wheels ($5,500), Assistance Package ($6,140), and more. An essential is the Premium Package Plus ($7,140) that adds comfort access, soft close doors, front and rear heated seats, ventilated front seats, and the Bose sound system. 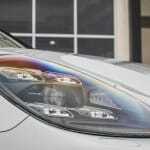 Finally, LED headlights add $1,370, bringing the total to $150,270 before taxes and fees. 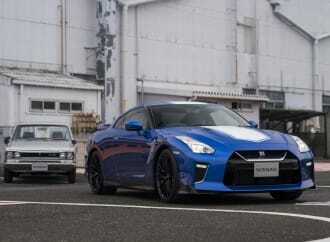 We often discuss in our office about what our ideal daily driver would be if cost were no object. Even prior to this road test, multiple colleagues of mine pointed out that the Sport Turismo would be the perfect car for a dad on the go, with enough space for kids and their gear, and more than ample power even for the occasional track day. 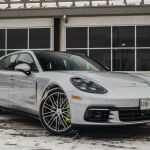 Spending a week with this 2019 Porsche Panamera Sport Turismo not only confirmed this theoretical claim, but reiterated the fact that every car enthusiast should experience it at some point.